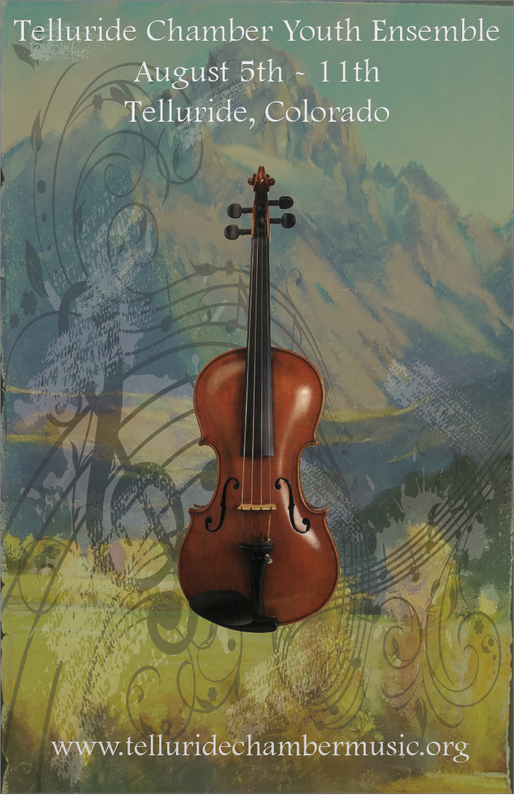 Palm Arts has partnered with the Telluride Chamber Music Association to present the Telluride Classical Youth Ensemble. A new student outreach mentoring program focused on partnering regional classical music students with established classical artists. The youth group and classical artists will spend a week in residency in Telluride rehearsing and performing a series of classical music events culminating in a main stage performance during the Telluride Chamber Music Festival. Palm Arts Programming and Development Director Chris Vann developed the Classical Youth Ensemble and modeled it after the successful Telluride Jazz All Stars group, now entering their 25th year. Professional classical musicians Joe Klause and Nelly Kovalev, both based out of Portland, OR will be the Youth Artistic Directors for the 2019 ensemble. The Telluride Classical Youth Ensemble schedule will be filled with rehearsals, performances, and plenty of opportunities to see professional performances by both Classical and Jazz artists the second weekend in August during what is being dubbed as “A Week of Art and Music” in Telluride. The Youth Ensemble will also be partnering with Palm Arts Dance students to present a live scored performance in the Mountain Village on Friday, August 9th in Reflection Plaza. Students interested in participating in the 2019 Telluride Classical Youth Ensemble can get more information and register at the link below.